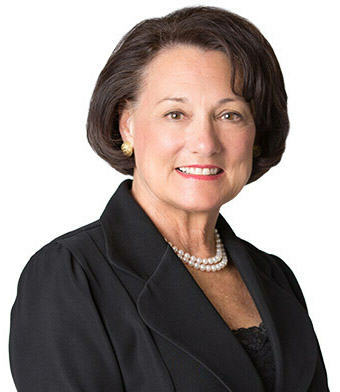 Mary Richard is recognized as one of pioneers in Oklahoma healthcare law. She has represented institutional and non-institutional providers of health services, as well as patients and their families. She also has significant experience in representing providers in regulatory matters. In this article, Oklahoma City healthcare attorney Mary Holloway Richard discusses Oklahoma’s Certificate of Need laws with the Daily Oklahoman newspaper. Q: What are Certificate of Need (CON) laws and what is the status of CON in Oklahoma? A: The history of CON laws is an interesting one. Federal law required CON for facilities that received federal funds to construct facilities. By 1978, unique CON statutes were passed in 36 states. Although the federal mandate was repealed in 1987, many states still have CON laws in place. The CON system was intended by Congress as one mechanism for controlling healthcare costs by controlling development. The idea was that unnecessary beds or services would drive up the costs and miss system efficiencies and economies of scale. Development was broadly defined to include activities ranging from new development, acquisitions, mergers, management agreements, leases, stock purchases and changes in ownership via foreclosure. The Oklahoma legislature repealed CON laws in all areas except for psychiatric and chemical dependency services and long-term care. Q: What are current requirements for developing long-term care and behavioral health services in Oklahoma under these statutory schemes? A: For long-term care, the Oklahoma law provides for development of long-term care services in a “ … planned orderly economical manner consistent with and appropriate to services needed by people in various (parts of Oklahoma) ….” Development must match or reflect the need demonstrated in the CON application as evaluated by the state Department of Health. The statutes also enumerate the powers of the Department of Health with regard to long-term care facilities, and services. The law applies to long-term care facilities including nursing homes, specialized facilities such as long-term acute care and skilled nursing facilities and the nursing component of continuity of care and life care communities. For psychiatric and chemical dependency service facilities, the process is outlined in the statutes and includes application requirements, findings by the state Board of Health, providing bases for the board’s decision, the opportunity for appeal of the board’s decision and an explanation of potential penalties for failure to comply. Q: Some writers and consultants in the healthcare industry contend that these laws no longer serve the purposes for which they were created by legislatures or fail to achieve the ostensible objectives. Is this fair criticism? A: All segments of the healthcare industry are highly regulated. There is a good argument to be made that business decisions in the healthcare space are guided by reimbursement, the impact of effectiveness and outcome metrics, and classic business principles such as market share and that, while the original ideas supporting the CON effort may have been sound, the system now provides an additional hurdle and expenses in two areas of significant needs in our state — services to the elderly and others requiring long-term care and to those suffering with behavioral health diagnoses. More specifically, Oklahoma’s CON rules apply only to hospitals so that development for treatment facilities not considered “hospitals” by the Oklahoma Department of Health are not covered by the CON procedures and limitations. The result is that addiction treatment facilities providing services, including beds, only require approval of the Oklahoma Department of Mental Health and Substance Abuse Services, which does not have its own CON process and can be developed without hindrance. Q: Is there interest among Oklahoma lawmakers to repeal the last vestiges of CON law in Oklahoma? A: Although this issue has come up in the last several years, it has not been successful. No such legislation was proposed in the first regular session of this legislative term, which ended in May. In terms of the status of CON laws in the nation, as of 2016, 14 states had discontinued their certificate of need requirements and 34 continued with some remnant of the CON system.